There is something special about people who work at River Learning Trust – they care passionately about what they do, strive to deliver excellence, and enjoy coming to work and making a difference to the lives of children and young people. We believe the way to achieve the best outcomes for our children is to create a learning environment in which everyone, all teaching and support staff as well as children, constantly strive to be the best they can be now and to become even better tomorrow. For us this can only happen in a supportive environment based on respectful relationships between all members of our community. We rely on you and all our staff across the Trust to share our focus and energy, so we support you all with every possible opportunity to grow. We also value each of us and our health and wellbeing, with every school committed to approaches to reduce unnecessary workload and support staff wellbeing. 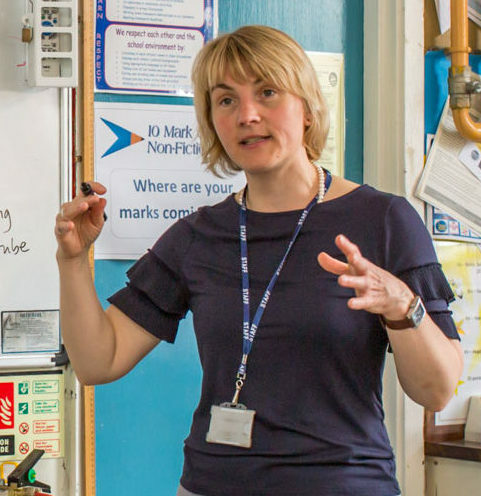 We work with each of our schools to support high quality continuous professional development and learning – we recognise the value of high quality CPDL which is evidence based and makes a difference to colleagues and our pupils. The range of schools in the Trust, and the SCITT, also presents a wide range of opportunities to learn, collaborate and contribute to the development of all of our schools. Through our links with the Oxfordshire Teaching Schools Alliance (OTSA) and other partners we also access a range of formal training opportunities. We’d love to share skills and knowledge with you and learn from members of other Trust schools (staff and children), each of which has its own, unique learning environment and children with different needs. We also run a programme of activities to broaden the range of experiences of those colleagues exploring career progression as well as professional development. Because we work hard to find and support the very best staff, we want you to stay and grow with us. Our increasing number of primary and secondary schools offers great opportunities for supporting different career paths of all levels and career progression through the Trust is something we aim for.